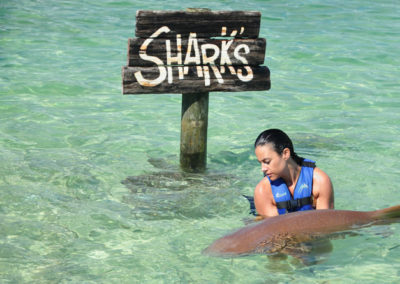 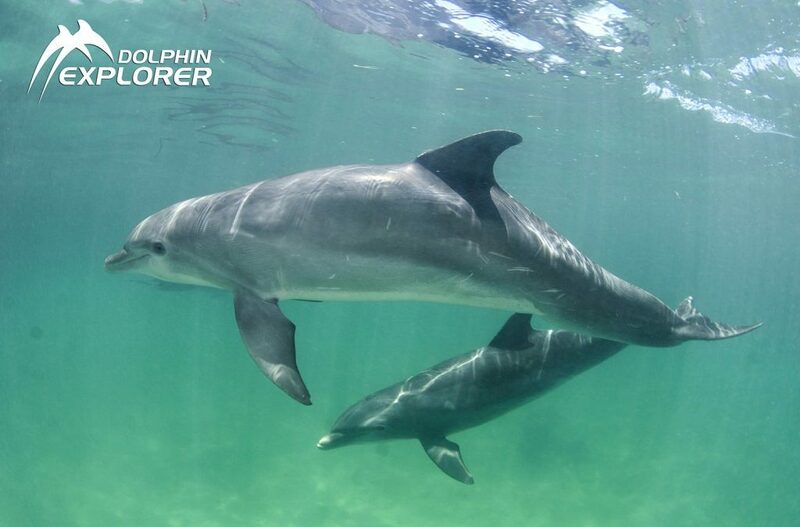 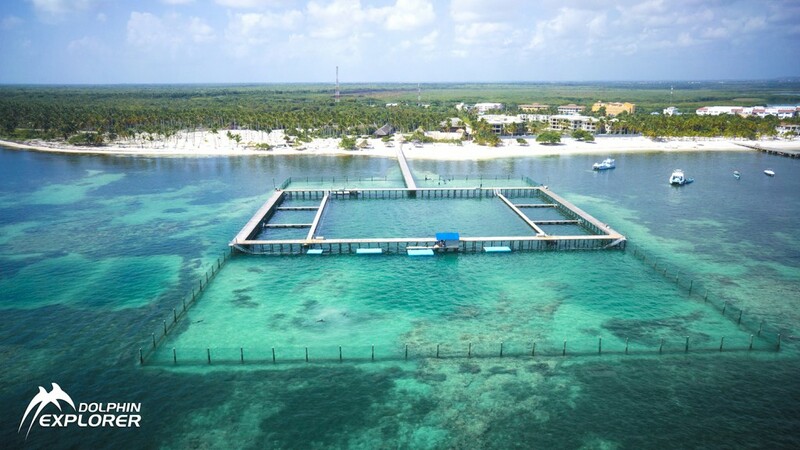 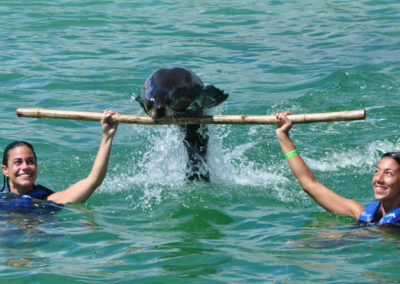 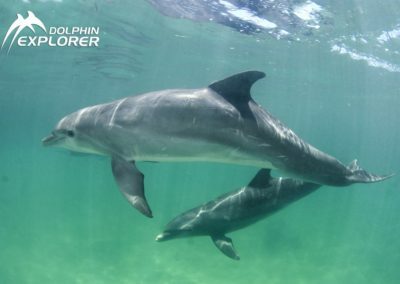 Punta Cana is the best place in the Caribbean to swim with dolphins in their natural habitat. 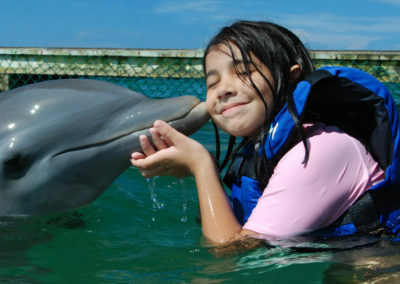 Enter in an unique beautiful tropical environment in which you will find contact and swimming with dolphins. 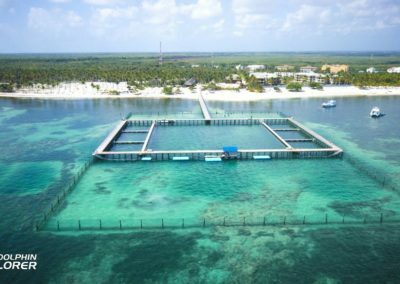 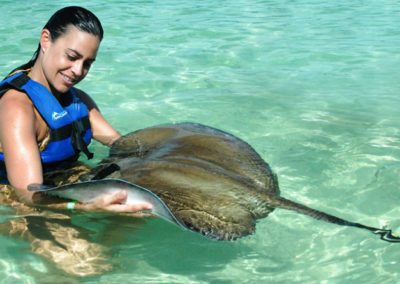 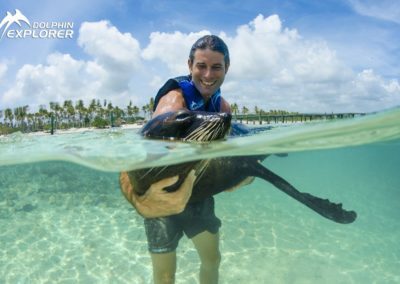 In addition to the exciting experience with dolphins, you can enjoy also close contact with sea lions, sharks, stingrays and tropical birds. 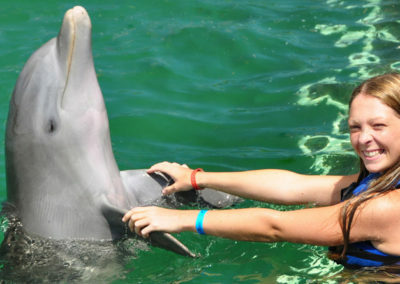 All under the care of highly specialized veterinary care and training. 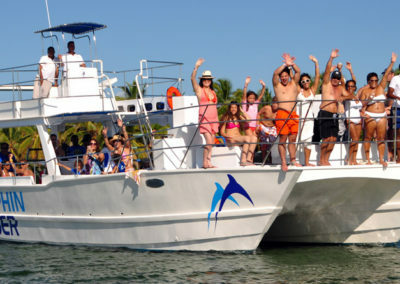 You will have an exciting and fun catamaran ride. 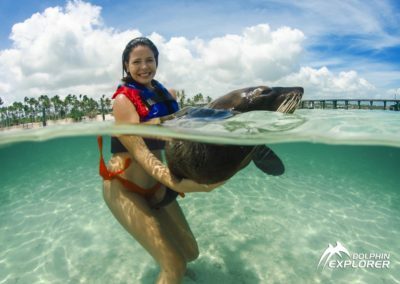 On the board of the Dolphin Cruiser, you will sail through crystal clear shallow water along the coast of the Natural Reserve of Cabeza de Toro, Punta Cana. All this in a natural environment of the great beauty, where lush vegetation meets the warm water of the sea; get an hour swim in the natural pool. 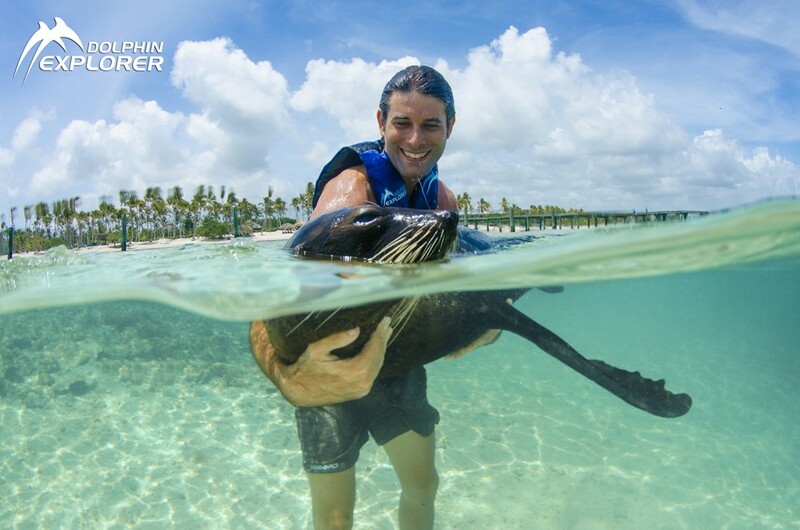 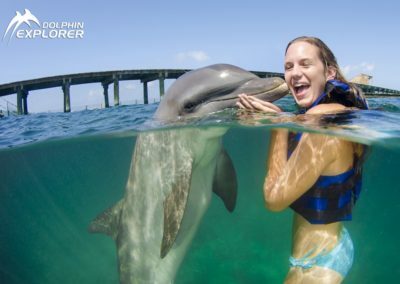 Also we will take you to the perfect place for swimming with beautiful dolphins, where one of these friendly animals will welcome you and you can enjoy the magic moment of a kiss. 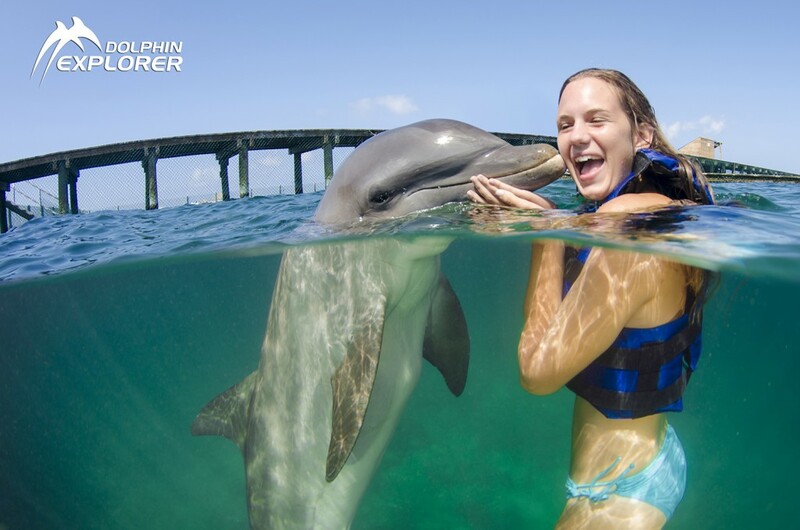 Experience the excitement of playing with them as if you were a coach. 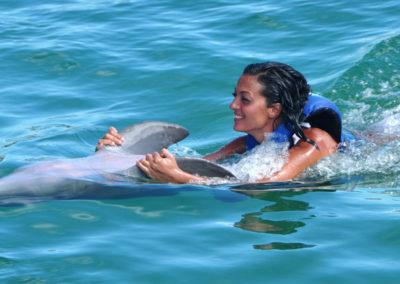 The coaches will teach you to swim with them and learn about their anatomy.